Energy creation without constraints is just a bomb in space. I have found it has become quite vogue to go into long rants about how great everything would be if only there was more freedom and less restrictions. Probably because we live in such a safe time and place in the world, we don’t realize how much the laws and structures around us protect us from risk and harm. Yet, many seem to feel that we should let the energy of the markets run free, and it will sort itself out. It is imperative that you don’t constrain or restrict it in any fashion, otherwise you won’t reach the highest levels of productivity. Structures to constrain it will emerge themselves. Well, at least structures that haven’t already emerged naturally from millenia of political growth and evolution. I would like to entirely ignore any discussion around the immorality of using social darwinism through the markets for the moment. Instead, let’s take a more pragmatic angle. I think I understand where the idea behind removing all market interventions comes from. If there is no artificial constraints to the system, then from a game theoretic perspective, the system should achieve an effective Nash Equilibrium where all parties are getting the maximum benefit they can possibly want. While not a social optimum, it has the effect of allocating resources in a fashion which no one person can take responsibility for and is still maximized for a really bastardized version of maximized. As well, structures should form that protect those most capable of producing the maximum capital, similar to how political structures form to protect those with the most power, usually with lots of guns. What is it maximized for? Generation of value in order to trade and make capital, which can be used to make more value which can be used to make more capital. It’s very similar to a runaway reaction in thermodynamics — heat encourages other molecules to breakdown and release more heat until you have a maximum release of energy in a very rapid period of time. Generate the most value and capital as quickly as possible, and you will be the most successful in a pure capitalist system. Arguably, generating lots of value can be an end in itself. Yet, that doesn’t make sense to me. What is the point of producing value without any aim as fast as possible? In a similar vein, if you have a runaway energy-producing reaction without any constraints, you simply have a bomb. I guess if you want to blow something up, it’s useful. However, in most circumstances it’s not very productive. There is a concept I heard while I was working with Stuart Kauffman that I really enjoyed: “enabling constraints.” The idea, ultra-simplified, is that by putting constraints in complex or chaotic systems it is possible for emergent behaviour to be encouraged. You move the chaotic system towards the critical line until it is in an optimal position to produce complex behaviour. One way I visualize it is in the terms of an explosion — Uncontained, an explosion is pretty much useless. Put an explosion into a metal tube and put a piston on one side, you have the start of an engine. A method for turning chaotic and destructive behaviour into something that is productive and useful. A method to derive work from chaotic energy production. I’ve mulled over this in relation to a variety of societal structures. For example, sports benefit greatly from enabling constraints. There is no baseball or football or hockey without at least some rules. These rules make the sport interesting, and emergent behaviour in the form of strategies exciting to watch. Without any rules, most sports would likely degenerate into some variant of UFC except with hockey sticks, or on a running track. You have to note that even UFC has a cage that constrains the fight to the arena. In relation to economics, the link seems even more obvious. I generally see value-creation as a form of energy in an economic system. Successful companies work almost like volatile compounds, as described above. In the purest form, they continue to create value as quickly as possible with the only intention of bringing in more capital to allow them to create more value. Yet, if the analogy continues the companies will all continue to produce value quicker and quicker with no structure or creation. Thankfully, in most modern societies, we have constraints in the system that allow corporations to produce directed value for society as a whole. For example, if a company’s only purpose was to maximize profit, then most would just make giant piles of cocaine and heroin and be done with it. No better business than the drug business, once they are hooked you have customers for life, as short as their lives may be. Hence, we have laws in place explicitly there to prevent this destructive form of value-creation. There are other softer constraints though, for example religion. These are enabling constraints to guide value-creation towards more emergent behaviour that benefit the group as a whole. However, as our society becomes more secular and individualistic, as morality becomes more relativistic, the strength of that constraint is decreased significantly. So, while we have still have independent ideologies, the constraint differs for each individual — having all particles heading in a different directions with no structure is simply chaotic behaviour and wastes a large amount of value creation. However with enabling constraints, the value creation can cease being chaotic and volatile and instead in some sense be more productive. To be honest though, I don’t know what constraints would be most effective, how to implement them, or what would work best. I have theories on what would work based on societal structures which have guided growth in society to this point. We are where we are, in safe, more or less clean, and low risk societies because of these structures. 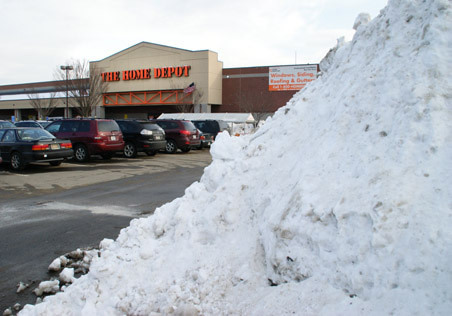 I think knocking them down, as we have been, for the utopian thinking of constraint-less capitalism is asking for trouble. Energy creation with no constraints is simply a bomb in space and value creation with no constraints is just as pointless. When I was in first year at the University of Waterloo, a very large number of friends I had took a course on “technical writing.” It was generally regarded as a smart move with the co-op program since it immediately gave them a benefit they could leverage with early co-op terms before they got more experience under their belt. I don’t follow the herd well, so I did the thing I usually do. I bought the textbook and decided to teach it to myself. I read it religiously twice through. Once during the school term and once while I was working at the Canadian Space Agency, and used it as a reference many times. Unfortunately, I don’ t have it anymore because it’s hideously out of date and was in bad shape, but I do have an old copy of the Canadian Press Stylebook on my shelf and Strunk and White kicking around for when I need to verify something. When I wrote up the documentation and procedures for the Payloads team at the CSA, I really enjoyed doing it well. The material was dry most of the time. So, to make it more interesting I spent considerable time laying out the documents so they looked good and matched the CSA’s rigid guidelines. This really energized me, I loved the look of the documents when I printed them out on the high quality printers — They were clean and I could see they followed the rules I had learned from my technical documentation book. I’ve done a some documentation with wikis, such as Gracefultavi documentation for QA at Net Integration since then. As well, since I program a ton, I’ve documented lots of code code. However, I haven’t really spent the time building up a solid, accessible document template and series of documents until recently. For many years, I thought I’d be able to do it in a wiki, but it has a few properties that make writing clean documentation very difficult. It’s too easy to clutter a page with nonsense and lack of structure. While the wiki languages generally force a header-level structure. I found that many people ignored these entirely and every page was all over the board, even when you spent the time trying to clean it up. Without a large force of people dedicated to it, like Wikipedia, many pages just got cluttered and useless. It’s too easy to edit and publish. It is always possible to get the pages to date, since there isn’t a formal publish point. Thus, it is very easy to publish pages that are only half-completed with the intention of completing them later. This generally leads to many pages that are incomplete or wrong making the entire wiki questionable for accuracy and more work than when you started. It’s too hard to make custom pages for special needs, or it’s too easy to make pages that are an entire mess. You either have a WYSIWYG or HTML editor or you don’t. If you don’t, then good luck making fancy pages without macros. If you do, you can now do whatever you want on every page based on day-to-day whims. Since everything is on it’s own page, one change in look and feel makes all of the content look out of whack with each other. This all combined to make me not really enjoy building documentation up for many year. I actually found myself thinking it was just a short joy, during a early university period of my life. Similar to how I used to love writing 500 page novels as a teenager, but haven’t been able to get myself to sit and structure out one in a long time. Recently, I was inspired by some work I’ve been doing around ISO27002 and some visual guidelines documents I’ve received. 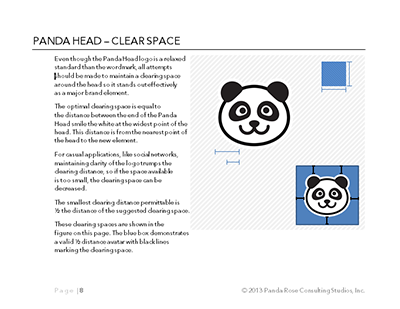 Since we are going to change the Panda Rose logo entirely soon, I decided to take the new branding and formally write up guidelines around wordmark and logo use both for internal documentation and external uses. With the intention of cleaning up the brand identity and providing answers to all of the questions developers have been asking around how to use elements like the wordmark correctly. When I started, I didn’t want to end up in wiki-hell where the project would die. So, I decided that I would not only formally define how the stuff was to be used, but also ensure the documents worked within the Word 2010 system for templating and structure. I could learn a new skill and, in theory, create a template that would allow fully accessible PDFs. As a bonus, the template and style sets could be reused specifically for other documents that are generated for Panda Rose — something to happen very soon with the large amount of immix and standards documentation coming for both internal and external use. Everything is win-win-win, as long as I enjoyed it enough to follow through. Luckily, as I proceeded defining the structure and building page after page, I realized how much I loved creating these. I enjoyed spending the time not only getting the typography and the look right, but also making sure it presented the material in as clear of a fashion as possible to ensure that any end user could read it and not miss important details. I rediscovered that I enjoyed creating clean, and accessible documentation. In the last few days, I went even further and started to construct other documents defining our corporate structure. 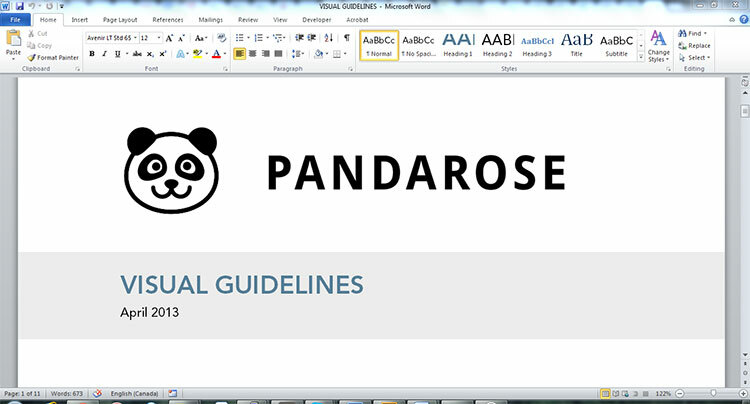 For example, I have been creating a formal security guidelines document for Panda Rose. 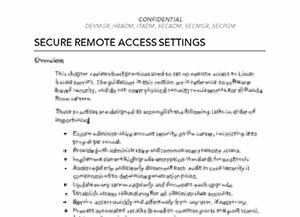 Inspired by ISO27002 and IBM documentation for the IBMi, I thought I would start with this and work up to a formal security framework. While we already have clear procedures and structures laid out around this in our internal wiki, I felt that I was enjoying building these documents so much that I would take a swing at that. It was a good check on if I enjoyed building these as it allowed my security geek side to play as well. Now, I find myself spending more time than I’d like to admit on it. This is beyond spelling out stuff that’s already in our internal wiki. I find myself thoroughly researching the techniques we are using and making sure they are best practices, adding pieces to improve the quality of our servers, and removing security procedures that are useless and irritating to end users. There is no easy opportunity to go back and change them when it’s finalized. This is it. This had better be good. And oh man is it fun. I research every word, every detail and I’m learning so much along the way. All this while also ensuring that Panda Rose will improve as a organization with every step. Good documentation and guidelines make for a good organization. Accessible documentation ensure consistency and structure to the organization. Clean documentation ensure that everyone will be able to understand the follow it. But most of all, writing good, accessible and clean documentation is just plain fun.